In order to perform Asbestos Inspections for profit in California, you must be licensed as a California Asbestos Consultant (CAC), or as a Site Surveillance Technician (CSST) under the supervision of a CAC. The Asbestos Building Inspector course is one part of the training requirements to become a CAC or CSST. Click Here for more information. 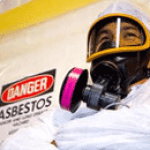 Why Should You Take This Asbestos Inspector training course? This Asbestos Inspector training course accredits individuals to assess the condition of asbestos material and report the results. Any person who performs the tasks involved in the asbestos survey, identification and assessment of the condition of asbestos and asbestos material, or who is involved in the collection of bulk samples of asbestos material for laboratory analysis, needs this training. OSHA requires that all surfacing material - (i.e. 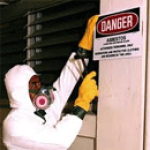 sprayed-on or trowled-on materials) and all thermal systems insulation must be presumed to be asbestos containing materials (PACM) in buildings constructed before 1981. OSHA also requires that in these same buildings, all vinyl, resilient, and asphaltic flooring, and the associated mastics and backings must be assumed to be asbestos containing. Only laboratory analysis of samples obtained by a trained and certified asbestos building inspector can rebut OSHAs position on PACM or flooring in buildings constructed before 1981. Building owners, and those involved with construction activities, must identify all asbestos containing materials in the areas of construction via due diligence. An Asbestos Inspector must possess a valid Inspector certificate and have a copy of their certificate with them at all times while working on the project. This workshop prepares you to immediately apply your knowledge to the field, with extensive hands-on training and real-world examples from experienced instructors. It combines lectures, discussions, and hands-on demonstrations. Individual App Requirements In order to perform Asbestos Inspections for profit in California, you must be licensed as a California Asbestos Consultant (CAC), or as a Site Surveillance Technician (CSST) under the supervision of a CAC. The Asbestos Building Inspector course is one part of the training requirements to become a CAC or CSST. Visit http://greeneducationservices.blogspot.com/2013/08/california-asbestos-consultant-and-site.html for more information. Individual Exam And Fees A 3rd-Party Exam is required for Asbestos Consultants and Site Surveillance Technicians. Refresher Training Annual refresher training is required. Refresher course is a half a day, 4 hour course. The Instructor was very informative and knowledgeable. The Instructor was very informative and knowledgeable. I left the training very encouraged by my experience. Overall, it was thorough and easy to follow. I joined the class with... I left the training very encouraged by my experience. Overall, it was thorough and easy to follow. I joined the class with zero experience on Asbestos and left very confident in how to move forward as an Inspector. Al knows his stuff! Al knows his stuff! VERY&nbsp;good and thorough information. VERY&nbsp;good and thorough information. Al was great in his knowledge, presentation and overall details. His command over the students was spot on and I very much... Al was great in his knowledge, presentation and overall details. His command over the students was spot on and I very much appreciate his style. I would definitely come back to Zack Academy. The instructor was very knowledgeable but could have added more hands on activities. The instructor was very knowledgeable but could have added more hands on activities. It really is about 3 days for stories with actual learning sprinkled in. Honestly could have done the whole thing in about... It really is about 3 days for stories with actual learning sprinkled in. Honestly could have done the whole thing in about 4 hours. This training was acceptable. I received emails stating there would be a continental breakfast all week this was a pretty... This training was acceptable. I received emails stating there would be a continental breakfast all week this was a pretty poor breakfast apples oranges and one type of pastry The instructor was professional and conveyed the material in an easy to understand manner. 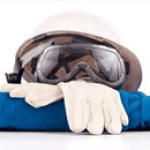 The information is old, and in some instances does not actually agree with the OSHA standards, especially in regards to the respirator section. This needs to updated and corrected. The class was okay in general. Too much information to cover but , we covered only a handful. The teacher was interested... The class was okay in general. Too much information to cover but , we covered only a handful. The teacher was interested in telling as many stories about his career as he could. The hands on training workshop was a good idea and I liked getting to practice the onsite building assessment. It would have... The hands on training workshop was a good idea and I liked getting to practice the onsite building assessment. It would have been good if he checked if we were doing it right.